Last week a Facebook friend posted a photo from the July 4th parade in Charleston, IL. A pickup appeared bearing the Confederate battle flag. I could have kept out of the fray, but I didn’t. “What part of the First Amendment don’t y’all like?” I asked. I don’t have skin in the Confederate heritage game. I grew up 40 miles from Charleston, IL. My people served in the Union Army. One marched with General Sherman. 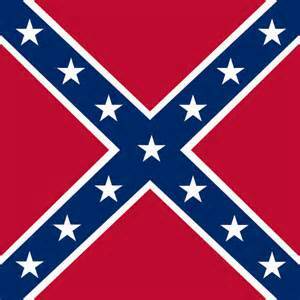 But the issue for me isn’t ancestry or what I think of the flag flier. For me the issue is freedom of expression. I still believe that every individual has the right to be wrong. The Facebook thread grew to 65 posts as individuals explained the Civil War and the battle flag to me, indignant that Southerners ever seceded in the first place. The conversation led to slavery. I pointed out how many years slavery existed under the Stars and Stripes (84) and the number of years under the Stars and Bars (4). I explained that our U.S. flag flew over the Trail of Tears and Jim Crow days and at internment camps for Japanese Americans during World War II. No one was interested. One who weighed in was a Marine who served during Desert Storm. “Tammy Wilson, you represent a small portion of the population that understands ‘slippery slope.’ The Constitution cannot be bendable based on political correctness. The First Amendment protects our freedom of speech. It does not require us to be on “the right side of history” nor does it give permission to bully others into silence. That brand of intolerance is called totalitarianism. Remember the Taliban? In 2001 these extremists were offended by ancient Buddha statues and destroyed the artifacts with explosives. And then there’s ISIS. Last month they were so offended by ancient statues in Palmyra, Syria that they destroyed them with sledgehammers. Intolerance is an ugly business. It demonizes its opponents. It eliminates dissent and silences conversation. In its most extreme form, it erases the past. The effort to expunge the battle flag, remove Confederate monuments and to disinter the corpse of a Confederate general is being championed by the masses, yet on one level it disturbs me for its simplistic attempt to whitewash history. By the way, I get the point about the battle flag on state and federal property, but how soon until the flag isn’t allowed anywhere? The incident that began this discussion involved a flag on a private vehicle. The American story should be the whole unvarnished truth, not just what bullies want us to see or to know. 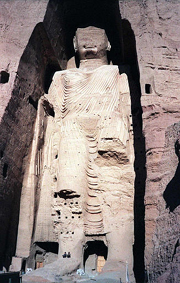 Bamiyan Buddha destroyed 2001. Photo credit: USA Today.